The poor old 14th century still hasn’t got it right: the citizens of England’s West Country are slaughtering each other wholesale under warring flags and on a smaller scale without official sanction. Once again it falls to Baldwin Furnshill, Keeper of the King’s Peace, and his devoted friend Bailiff Simon Puttock (The Devil’s Acolyte, 2002, etc.) to see justice done. 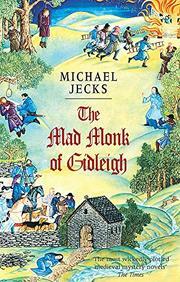 Mark, a young priest, has been sent from Exeter to preside over the small chapel at Gidleigh, the home of Sir Ralph de Wonson, his undeclared father. Soon enough, Mark falls madly in love with Mary, the miller’s beautiful daughter. It boots nothing; before long Mary, now pregnant, is found stabbed to death at the side of the highway. Fleeing, Mark is soon captured and ordered to stand trial for the murder. Nor can he count on his father for help, since Sir Ralph, master of Gidleigh Castle after the death of Sir Richard Prouse, is preoccupied with his son Esmon, a young bully, and his unacknowledged offspring in the miller’s family. Left on his own, Mark escapes from prison but not from death as a bloody battle rages at Gidleigh Castle—a trial in whose aftermath Mary’s true killer will be revealed. Villains and victims abound, confusion and mayhem reign in an endless chronicle of crossed swords and crossed parental lines. Medievalists may find joy here, others an extended test of forbearance.